AIMA conducted its popular Global Advanced Management Programme (GAMP) at Tel Aviv, Israel from 2nd to 7th March 2019. The theme of the programme was ‘Connecting with Israel’s Innovation Dynamics’ and was led by Mr. Claude Smadja, former Managing Director of the World Economic Forum. 8 senior delegates from Private and Public Sector companies participated. 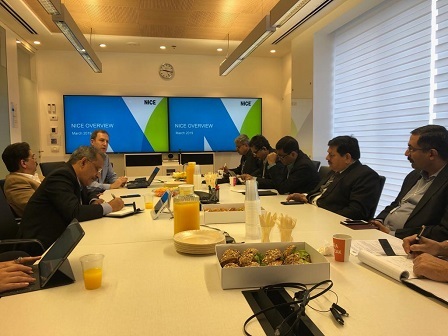 The programme started with delegates getting an overview of the Israeli economy and the entire landscape of Indo-Israeli relations in terms of trade cooperation. The interactions and campus visits included places like Israel Manufacturers Association, Sanara Ventures - a joint venture between the largest pharmaceutical companies in Israel-Teva and Philips, ISRAEL Aerospace industries, ISRAEL innovation authority, start-up companies like StartUp Nation Central, and OurCrowd, Tel Aviv University, Nice Technologies, Cortica and Vayyar Imaging. Some renowned personalities involved in the innovation ecosystem of Israel like Mr Benjamin Soffler and Ms Karin Rubinstein also addressed the group. 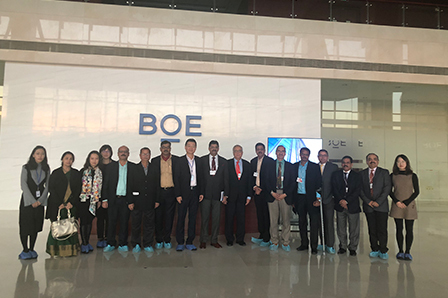 The visit also had sessions from academic experts at Peking University like Mr. Huang Yiping, professor at National School of Development and Ying Zhang, Associate Dean & Professor of Marketing at Guanghua School of Management. 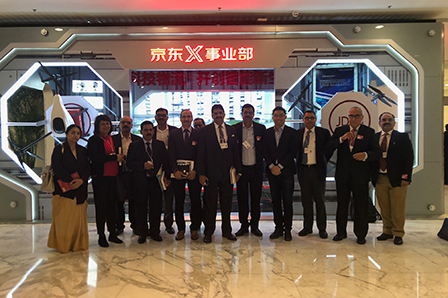 The other prominent places visited were Cheung Kong Graduate School of Business and Technology Innovation Unit of Tsinghua University. 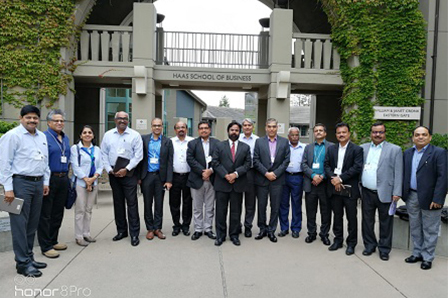 AIMA organised its 13th edition of the Global Advanced Management Programme (GAMP) in the Silicon Valley, USA, from 24th to 30th June, 2018. 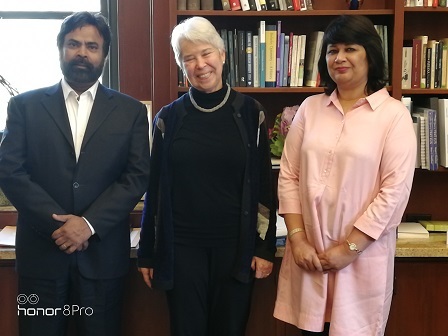 The programme was led by Prof. Solomon Darwin, Executive Director, Center for Corporate Innovation, Haas School of Business, University of California, Berkeley. The theme of the programme was ‘Disruptiv Innovation & Open Business Models in the Changing Global Landscape’. GAMP is designed especially for senior executives to provide insights into Open Innovation and Disruptive Innovative business model. From keynote speakers and panel discussions to executive briefings at top Silicon Valley companies, participants actively engaged in creative problem-solving exercises and developed a new business model for their own organisations. 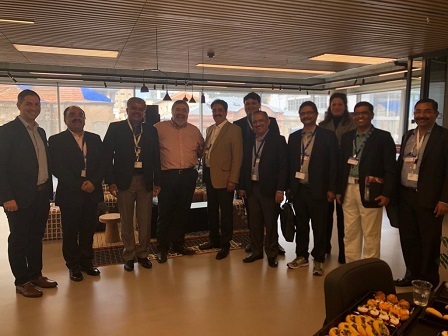 The senior executives attending the programme learned from a multitude of inspirational and innovative leaders at on-site visits to Berkeley SkyDeck, RocketSpace, Fujitsu Open Innovation Gateway, PayPal, NVidia, Cisco, Wipro, NextEra Energy, IBM, Genpact Digital Labs and Ford Innovation Center. Mr Venkatesan Ashok, Consul General of India in San Francisco addressed and interacted with the participants at a special plenary session. Other keynote speakers at the programme included, Mr Vivek Wadhwa, Distinguished Fellow at Carnegie Mellon University, Researcher, Columnist, Author and Technology entrepreneur; Mr PK Agarwal, CEO, Northeastern University (SV) and Former CTO, California State; and Mr Arding Hsu, Innovation Strategy Advisor to CTO, ThyssenKrupp. At the end of the programme, the participants presented an innovative business model for their companies to a Jury comprising of senior executives from Silicon Valley. The delegates were also conferred with the ‘Global Advanced Management Programme’ Certificate.